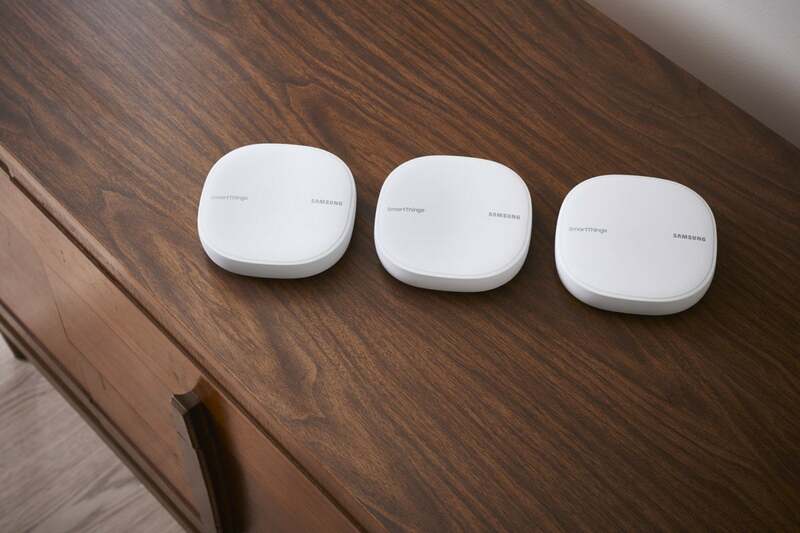 Samsung is putting its well-regarded SmartThings brand front and center in the latest iteration of its combination Wave 2 Wi-Fi mesh router and smart-home hub. 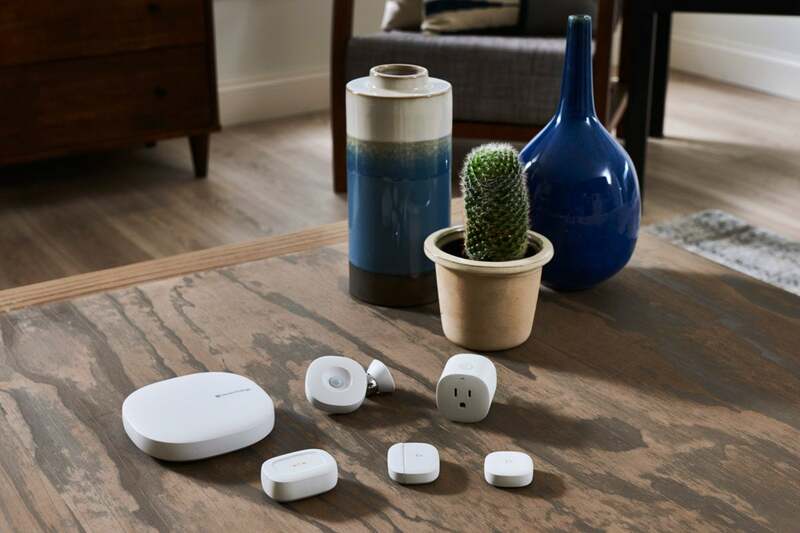 SmartThings Wifi replaces Samsung’s first stabs at the home network, the Connect Home and Connect Home Pro. Like those devices, this new product blends an 802.11ac wireless router with a SmartThings hub equipped with Z-Wave, ZigBee, and Bluetooth radios for controlling smart-home devices. SmartThings Wifi also features Adaptive WiFi technology from Plume. This Silicon Valley startup has developed a cloud-based network-control system that uses artificial intelligence to learn about your home environment and continually optimize your network’s performance. Plume sells its own consumer mesh routers in addition to supplying its technology to third-party vendors, including Comcast. Comcast and Samsung have both made strategic investments in Plume.Samsung is selling this router as a single node offering coverage of up to 1,500 square feet for $119.99, and as a $279.99 three-pack that should cover up to 4,500 square feet. Because this is a mesh system, additional nodes can be deployed if you need even more coverage. The router half of the device is a dual-band AC1300 model rated to deliver TCP throughput of 866Mbps on the 5GHz frequency band, and 400Mbps on the 2.4GHz band. It supports two spatial streams up and two down, with MU-MIMO. Samsung also announced a new version of its SmartThings Hub, our current favorite in its category. In addition to being more compact, the new model no longer needs to be hardwired to your router. That should make it easier to install the device in the center of your home, where it can reach the most smart-home devices. Samsung says the new hub “has been upgraded with the latest ZigBee, Z-Wave, and Bluetooth 4.1 connectivity protocols.” None of those has changed recently, so I quizzed my Samsung contact to determine just what that statement means, but I didn’t get a response by press time. Samsung is also releasing a new standalone SmartThings Hub, several redesigned sensors, and a new multipurpose Button. The SmartThings Smart Outlet and Water Leak, Motion, and Multipurpose sensors have also been upgraded, although the press materials Samsung provided elaborate only on the Motion sensor. That device has been redesigned with a magnetic ball mount that allows you to adjust the sensor’s tilt angle to cover a wider field of view. The company is also introducing a new SmartThings Button, which can be programmed to trigger control routines around the home without the need to open the SmartThings app. The SmartThings Button will also monitor the temperature in the room that it’s in and can signal a compatible smart thermostat to adjust the temperature to heat or cool as needed. The new SmartThings Hub is priced at $69.99, the Button costs $14.99, the Smart Outlet is $34.99, and the sensors range in price from $19.99 to $24.99. They are all available now, according to Samsung.